Picture Panache Framing & Design is pleased to provide educational and entertaining seminars tailored specifically to the needs of a variety of audiences. Do you need a speaker for your women's group or community group? Or, do you have a business? Perhaps you're an artist, photographer or designer and you're looking for a way to attract your ideal clients? 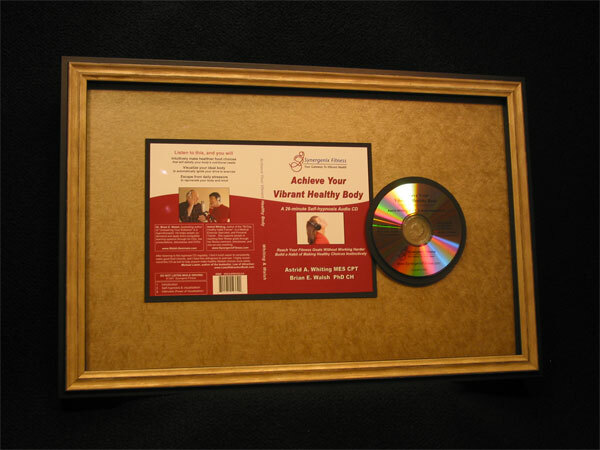 These presentations are a great way to get potential clients through the door. Also, it's a wonderful opportunity to show appreciation for your current customers. Best of all, it's interesting and FUN for everyone! Click HERE if you'd like a certified design professional to present a seminar tailored to your group. If you're looking for a fun way to learn more about design, custom framing and more, we host a variety of exciting seminars for you to choose from. Take a look at all the great options below. Bring a friend or meet new friends and get ready to laugh and learn. "A lovely presentation which encouraged me to explore the personal meaning I attach to the artwork I surround myself with." --- Monica Kingsbury, Registered Clinical Counselor. Click HERE if you or your group would like to attend any of the following seminars. Ever wonder why some rooms seem perfect while others have all the right "things" but still don't have that pulled together "look" you were hoping for? We've got answers! This seminar introduces you to arranging artwork using the principles of design. You'll learn to create rooms that are both comfortable and memorable. Learn easy and helpful tips for creating walls and rooms that WOW! Yes, I want walls that WOW! Click HERE to register for a scheduled class or to book this seminar for your group or business now! Are you thinking about redecorating a room? Or, perhaps transforming your whole home? It can be overwhelming and frustrating trying to pick the right colours for your walls. With a million little paint chips, how do you choose? This seminar teaches a fail-proof system for selecting the right paint colours, the first time. All of your art will standout perfectly against the flawless background. Yes, I want to learn the fail-proof system for selecting the right paint colours! Click HERE to register in the next scheduled class or book this seminar for your group or business now! Art Speaks! What is Yours Saying? If you love 'The Secret' and are fascinated by the 'Power of Intention,' then join us for a look at how art speaks to us on a subconscious level. 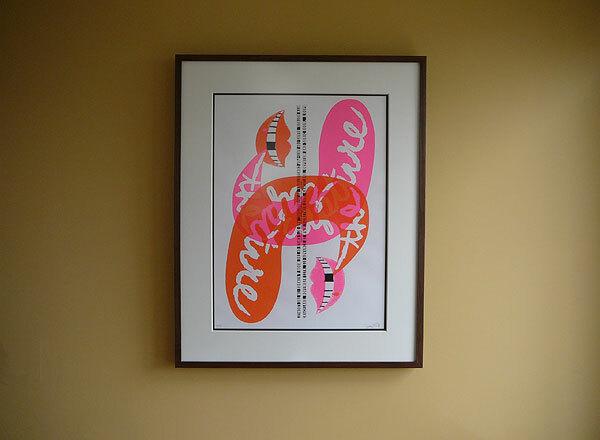 What could a change in wall décor mean to your life? Yes, I want to discover what my art says to me! Click HERE to book this seminar for your groups' upcoming event! Remember the blogger who traded one red paperclip for a house? If you believe that what you focus on expands, then come and learn an easy, breezy way to bring more of what you want into your life. Discover how your décor can help you focus on your dreams, so you get there faster! Yes, I want to reach my goals faster through art and decoration! What's your pleasure? Do you prefer bulk bin chocolate or Bernard Callebaut? 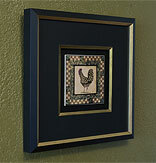 Just as chocolate ranges in price, so does framing. If you're concerned about the high cost of framing, why not come and learn about the components that go into quality, custom framing. 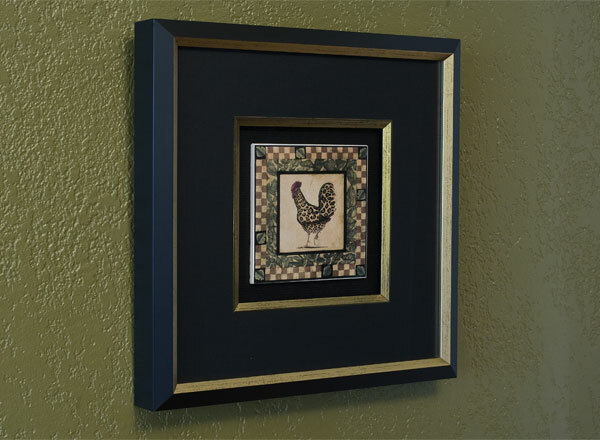 Find out if custom framing is right for you. You'll leave this seminar knowing how to make informed decisions about the kind of framing that will best meet your needs. Yes, I want to find out more about custom framing! Click HERE to register for the next scheduled class or book this seminar for your event! This is a series of three educational sessions which may be taken consecutively or individually. 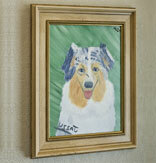 Do you have art, photos, family heirlooms and all sorts of keepsakes tucked away? We all have meaningful pieces crammed in storage spaces, in drawers or the back of closets. These special items could be in danger. Are you committing conservation "sins" that risk damaging or destroying your collectibles? Learn key tips for protecting art, photos and family history for the next generation to enjoy. Yes, I want to protect my treasures! Click HERE to register for the next scheduled class or book this seminar for your next event! Confused by the different types of mats available? Have you ever wondered how to select the 'right' colours to enhance your artwork? Or wondered about mat proportions? Learn how to recognize and choose good framing design. Get tips, tricks and new ideas for enhancing your art and rooms. Yes, I want to learn about good framing design. Click HERE to register for the next scheduled class! Running out of wall space? Maybe you've moved and your artwork doesn't fit the way it used to. Or, maybe you're an avid collector and don't know what to do with all the beautiful pieces? 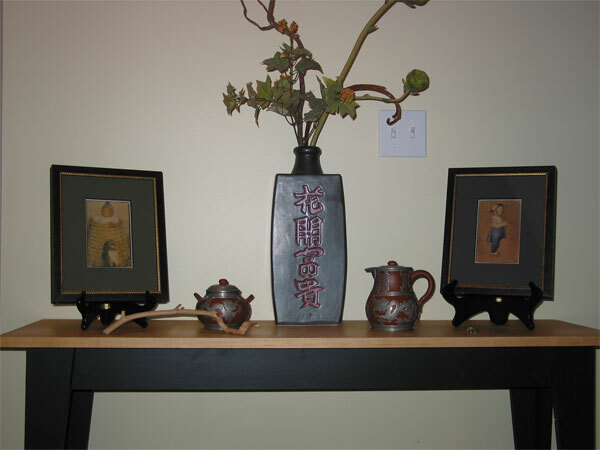 In this seminar, you'll learn tricks to creating harmonious groupings of art and objects. Yes, I want to know how to arrange my art and objects. At Picture Panache Framing & Design, we love hosting events and inviting the community to participate. It's a great chance for us to meet you and you to meet us. Check back often to find out about our next special event. Or sign up for our free newsletter and you'll never miss out on the fun! Yes, I want to receive the Picture Panache FREE newsletter! Click HERE to sign up today! Picture Panache is excited to be participating once again in the Community of Arts Council Saanich Peninsula Fall Studio Tour. As has become our tradition we are hosting an artist you might not see otherwise. We couldn't resist inviting back Award Winning artist, Lorraine Douglas who will be in attendance both days and is bringing a large selection of unframed and very reasonably priced monoprints, etchings, watermedia and collage works. Just recently Lorraine celebrated 1 year in her new printmaking studio using her new Takach press, and as a result we are very eagerly anticipating all sorts of surprising new works! One of the fun things about framing, is coming up with framing design that enhances the artwork and also fits perfectly with your preferences. So this studio tour, just for fun, we'll be framing a series of 3 of collages, each individual piece in a very different style. Come and vote for your style preference and you might just win it! You've heard of a Tupperware Party? Well, why not host a Picture Panache Framing Party? 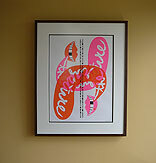 In our experience, framing is like exercise. We have good intentions, but life happens. Nearly everyone has something special stashed in the back of their closet that they've been meaning to frame. Or wall décor they still really love if only the framing weren't so dated. Dig out your treasures, round up some friends and call to book your Framing Party. No need to clean your home or fuss over snacks because we meet at Picture Panache Framing Studio. As the host, you'll receive incentives and special discounts for framing purchases made while at the Framing Party. Minimum 4 people. Yes, I'd like to receive framing discounts by booking a Framing Party now! Click HERE to book today. Are you tired of bottle drives? Concerned about the security of your children going door to door? Is fundraising time-consuming and a big hassle? We have a great new way for your school, team or organization to raise money. It's simple and requires very little effort. Just register with us. We'll open an account and provide you with a customized mailer/e-mailer explaining how easy it is for your supporters to raise funds for you. All you have to do is distribute this information to your supporters via newsletter, stuffer, e-mail, etc. 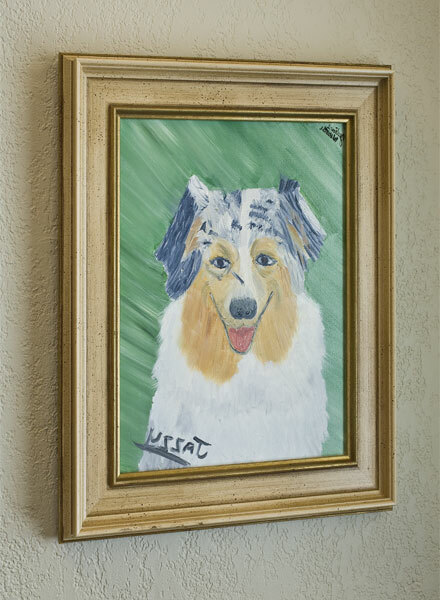 Anytime a complete custom-framing package is purchased at Picture Panache Framing and your name is mentioned, a portion of the sale will be credited to your account. On average, 40 supporters total a donation of $1560.00. How could $1560.00 help your school, team, organization, charity or non-profit? Yes, I'd like to take advantage of this fundraising offer! Click HERE to set up your account today. As a Supporter...how can I help? It's easy. Simply, purchase your framing with Picture Panache Framing and mention the name of the organization you'd like to support. The donation will automatically be added to their account. Yes, I'd like to support my organization! Click HERE to book your framing appointment today!